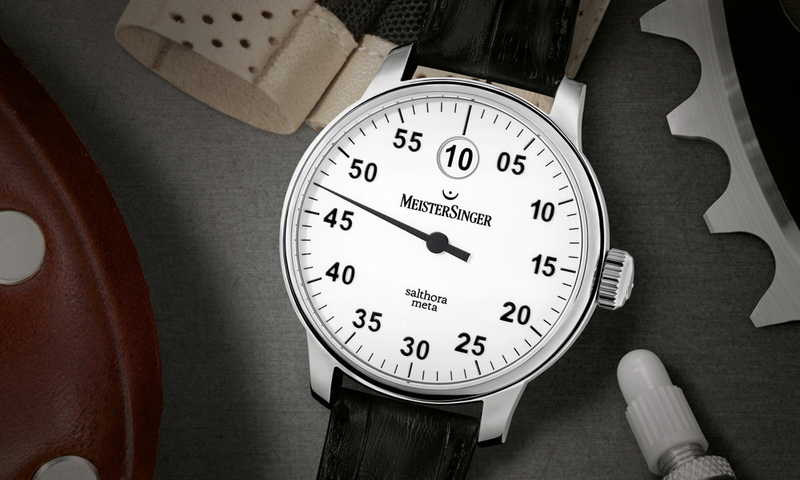 Meistersinger has announced that it will introduce Salthora Meta, a new version of its “jumping hour” timepiece. It will be available from this month onwards, it has been confirmed. The 43 mm diameter watch is produced in a cylindrical stainless steel case and houses a Sellita SW 200-1 movement with jumping hour construction. It is based on the ETA 2824-2 mechanism. 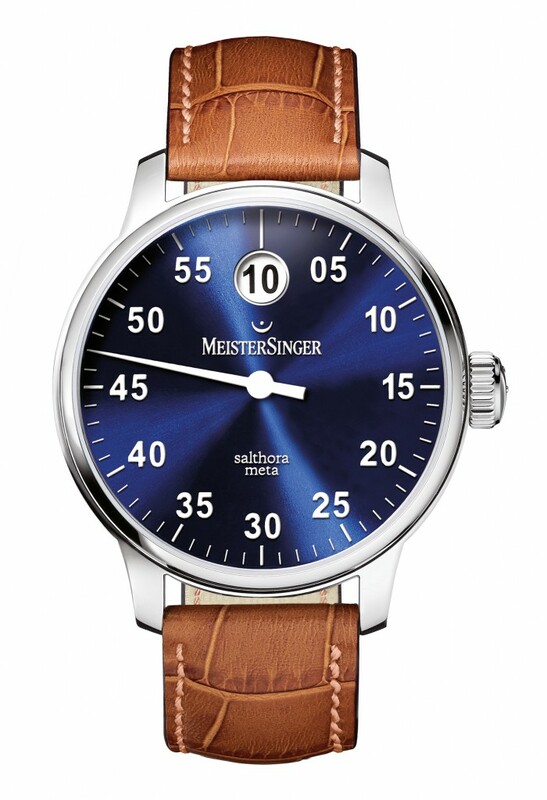 Unlike other Meistersinger watches, which commonly only feature a single hour hand, the Salthora, features a minute hand, instead. Whilst, the hour is shown in a circular window positioned at the 12 o’clock position. Once the hand reaches the middle of the window every sixty minutes, the number denoting the next hour appears like a flash. The models featuring a white or ivory-coloured dial will be fitted with an hour disk in exactly the same colour. The hour disk in the blue version is white, as is its hand. While, the black model features a red signal hand. All four models will include sapphire glass, while the digits of the minutes and of the hour display are presented in the sans serif Helvetica typeface. 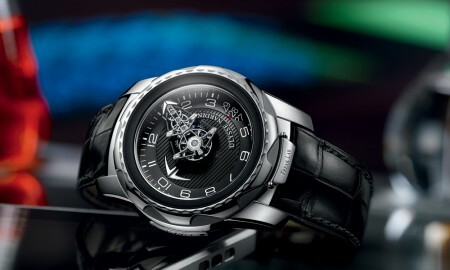 The Salthora Meta will be water resistant up to a pressure of 5 bar (50 meters / 165 feet) and boasts a minimum power reserve of approximately 38 hours.